Eli, Morty, Steve, and Wuggles are sitting at the conference table. E: With a youth ensemble. S: Why do you hate us? W: (smugly) Heh. Heh. Heh. None of that stuff changes anything for me. Steve with the death glare at Wuggles. Grrrrr. 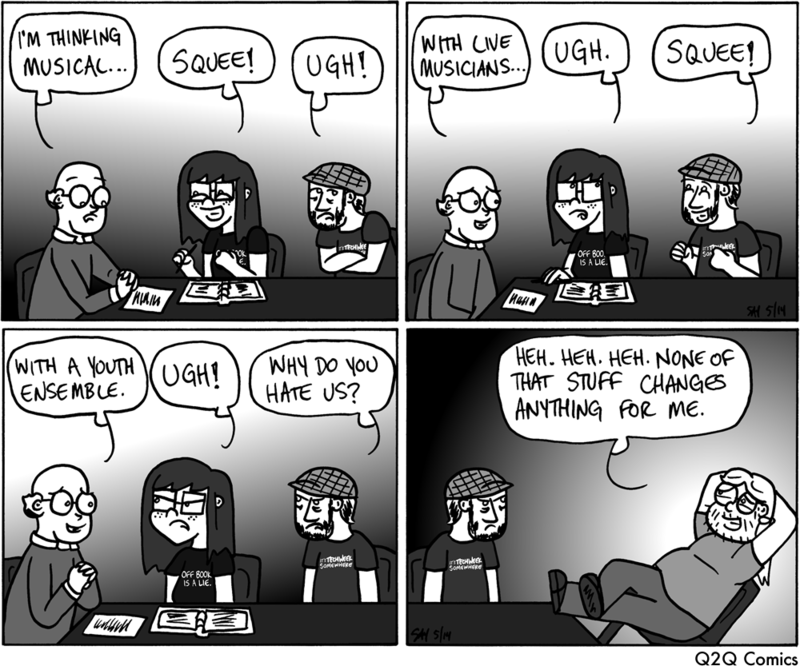 This comic was posted in Q2Q and tagged Comics, Director, Lights, Musical, Musicians, Sound, Stage Management, Tech Theatre, Theatre, Webcomics, Youth Ensemble.